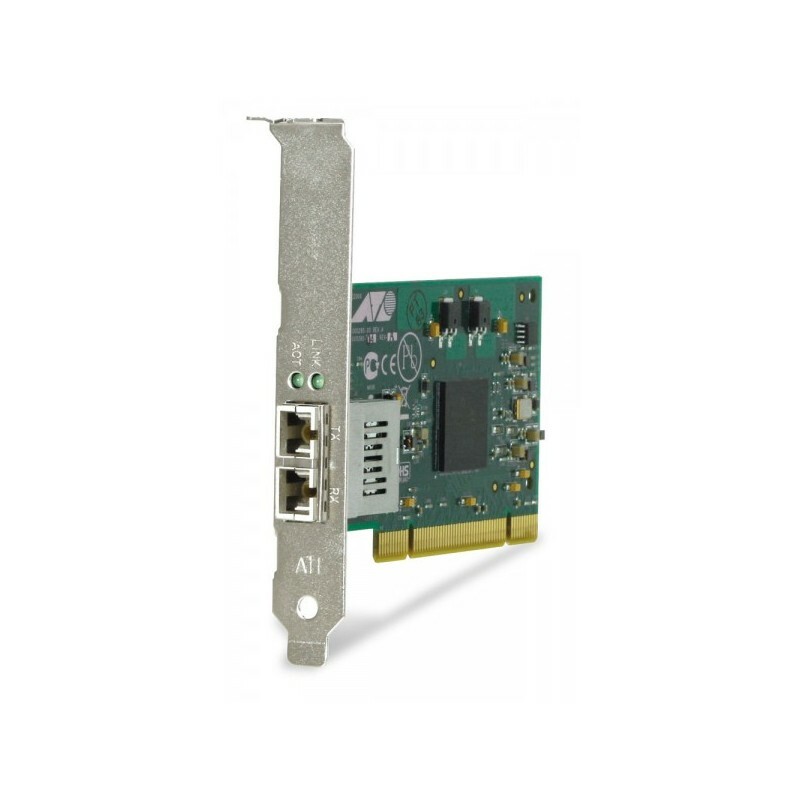 The AT-2916SX, 32-bit, Gigabit Ethernet NIC provides a 1000Mbps fiber port to deliver desktop connectivity in fiber rich LAN environments. It's an ideal fit for the security needed in government applications. With both standard and low profile brackets included (standard bracket pre-assembled), driver support for most popular operating systems and PCI 2.2 capability, installation couldn't be easier. Available in SC or LC connector types. -Jumbo frames support up to 9KB. -TCP, UDP & IP checksum generation and check packet filtering based on checksum errors. -Support for all popular operating systems, including Sun Solaris. -Link Aggregation gives higher capacity and availability. -Virtual LAN (VLAN) support for complete network optimization. -Virtual Cable Tester (VCT) for cable fault diagnostics. -Bring a remote sleeping computer to full power with Wake-on-LAN (WOL). -Network Administration Support with remote boot (PXE 2.0).